The Office for Cyberspace Administration said the three platforms had failed to police content on their sites. It said people had been using the platforms to spread terrorism-related material, rumours and obscenities. The breaches "jeopardised national security," the administration said. 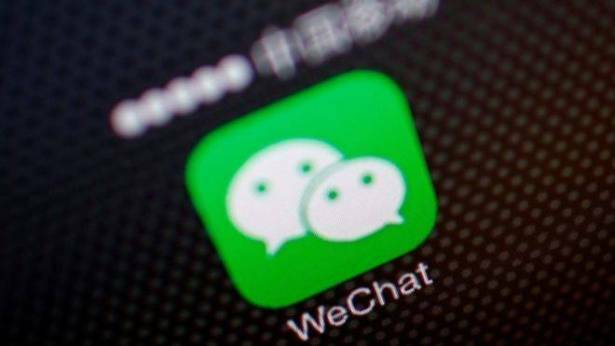 Weibo, WeChat and Baidu's Tieba are among the most powerful social media platforms in the world, each attracting hundreds of millions of users in China. In China, posts are easily traceable through registered phone numbers and most people already know well the topics and opinions to steer clear of. But despite the tight surveillance and censorship, dissent still bubbles away and, ahead of a highly sensitive Communist Party Congress this autumn, the authorities are tightening those controls further. The move to place the three platforms under investigation will almost certainly prompt the sites' owners to do even more to police their own content. Last month 60 popular celebrity gossip sites were closed overnight for corrupting "core socialist values," and a new regulation released in May requires all online news portals to be managed by Communist Party sanctioned editorial staff. The authorities in China heavily censor the internet, routinely blocking content or search terms and removing posts they consider sensitive. They also block foreign social media sites and apps, including Facebook, Instagram and Twitter. Search engines like Google are blocked, and access to many foreign media outlets is restricted too. It is also clamping down on users who try to get around the restrictions, by tightening regulations on Virtual Private Networks.